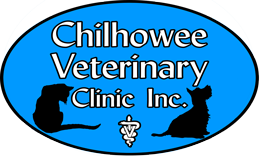 Chilhowee Veterinary Clinic is your full service animal hospital, a pet friendly animal wellness center and caring family practice in Maryville, TN. We take care of your pet whether it needs just annual shots and a check up, general preventive care, spaying or neutering, or full blown surgery. At our animal clinic we promote a calm, soothing, professional atmosphere so you can feel comfortable and comforted when needing a veterinarian. We are also an animal emergency clinic with animal doctors offering emergency care during office hours, and an off-site emergency service outside office hours. Just call our number and you’ll automatically be re-directed. Be assured, your call will be answered day or night. We are your animal hospitable animal hospital! One cat, two dogs, a red Abyssinian, a blue Heeler. Black Cat, Blue Tick Hound, old cat, new puppy, We Love Them All. Read all about Our Veterinarians so you know that when your pet needs a vet, or an animal emergency center, we are your trusted animal clinic in Maryville (Blount County, East Tennessee) and serving the Greater Knoxville area too. First time taking our 3 year old cat to this clinic and groomer. Both were professional, polite, and showed that they truly cared for animals! Our cat did so well and felt comfortable with the staff who provided excellent care and attention. Will absolutely be coming here again and I highly recommend it! We have used a couple of different vets but we're glad we found Chilhowee. I trust the veterinarians, especially Dr. Archer. The techs seem to really love our dog. We board our dog here and have her groomed by Julie. The prices are reasonable too. Wonderful friendly staff. They truly care about your pets. Have been using them for years now.